Rabbi Menachem Burstein was born in Uruguay, South America. He studied in Yeshivat Merkaz HaRav in Jerusalem and received his rabbinic ordination from the Chief Rabbinate of Israel. His love for Torah and Jewish law attracted him to the most prominent rabbis of the generation. He developed warm and meaningful relationships with Rav Mordechai Eliyahu zt"l, Rav Ovadia Yosef zt"l, Rav Mordechai Halberstam zt"l, Rav Yosef Shalom Elyashiv zt"l, Rav Shlomo Zalman Auerbach zt"l and many others as well. Rabbi Burstein has published numerous articles and seforim on Fertility and Halacha, as well as other halachic topics. He is a noted speaker who lectures throughout Israel and abroad. With his success as the founder of PUAH, Rabbi Burstein has made the hopes and dreams of countless childless couples become a reality. Rabbi Gideon Weitzman heads PUAH's English speaking section in Israel. Born in Britain, Rabbi Weitzman earned his rabbinic ordination from the Chief Rabbinate of Israel. Rabbi Weitzman was a visiting associate principal in the Albert Einstein College of Medicine in New York and is a regular contributor to the annual halachic compendium Techumin. His scholarly articles on IVF, sperm extraction, and genetic counseling have been published in The Journal of Genetic Counseling and The Journal of Early Human Development. Rabbi Weitzman is well known for his brilliant and thought provoking presentations. 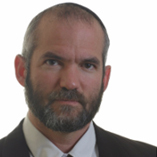 He has lectured at major organizations such as National Council of Young Israel, the Rabbinical Council of California, Agudas Yisroel of America, American Society for Reproductive Medicine, Columbia Medical Center, and Cornell Medical Center and more! Rabbi Weitzman teaches in at Midrasha College for Women, as well as other educational institutions in Jerusalem. He currently resides in Modiin where he serves as the rabbi of the Merkaz Modiin Synagogue. Born and bred in Yerushalayim, Rabbi Lewis studied at the Bet El Yeshivah in Israel and received his rabbinic ordination from the Chief Rabbinate of Israel. 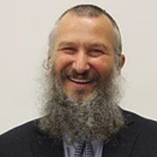 He has served as the rabbinic director of the OU Torah Center in Kharkov, Ukraine, as well as a community rabbi and Rosh Kollel in Perth, Australia. He has taught at Yeshivat Benei Zvi and Ohr Torah Stone. In addition to his full time position as a PUAH advisor, Rabbi Lewis is part of the staff of www.yeshiva.org.il where he answers countless halachic questions on all areas of Jewish Law. 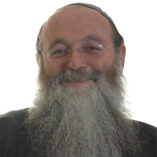 Rabbi Lewis currently resides in Efrat where he is the rabbi of Congregation Tiferet Avot. Rabbi Segelman is the rabbinic advisor for PUAH in America. After studying in Israel for two years at Yeshivat Kerem B'Yavneh, Rabbi Segelman attained a B.A. in Psychology from Touro College's Lander College for Men, as well as an M.A. from Touro College's Graduate School of Jewish Studies. Shortly after completing his Semicha, he was appointed as a Shoel U'Maishiv and Rebbe in the Lander College Judaic Studies Program. Rabbi Segelman currently serves as the Rabbinic Educator at New York Medical College & Touro College of Dental Medicine in Valhalla, NY. Rabbi Segelman resides in Queens, NY, where he serves as the rabbi of Kehilas Torah Temima. He is the founder and Rosh Kollel of the Queens Kollel Boker, as well as the Rabbinic Director of Special Projects for the Vaad Harabonim of Queens. PUAH is devoted to helping the greater Jewish community fulfill their dreams of building a healthy family. Whether individuals are struggling with fertility, women's health, men's health, genetics or intimacy, PUAH is here to help. 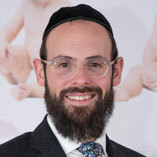 PUAH advisors embody a unique synthesis of rabbinical knowledge and specialized training in modern reproductive medicine to provide the best guidance possible. Our counseling and guidance is free-of-charge, helping to ease the difficult journey. All that we do is carried out in accordance with Jewish law, and with deep sensitivity and compassion.